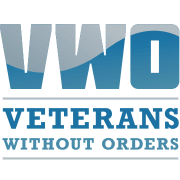 Veterans Without Orders is an veteran-led, non-profit, clean water organization that assists populations without clean water and other essential services. Our goal is to continue serving humanity by utilizing skills obtained while in uniform to conduct sustainable humanitarian projects worldwide. Many founding members of VWO served within the Civil Affairs Corps and developed broad expertise in assessing needs, developing solutions, and working with local partners to implement those solutions. Our model is based in-part on the U.S. Army Civil Affairs Team concept, which specializes in identifying critical requirements needed by local citizens in combat or crisis situations. Would you recommend VETERANS WITHOUT ORDERS CORP?